Born on the 3rd of April, 1930 – 16 June 2017, Helmut Kohl is a statesman who also served as the Chancellor of Germany between 1982 and 1998. He had also held the position of the Minister President of Rhineland-Palatinate among other things. Kohl’s position as the German Chancellor was the longest held by any one since Otto von Bismarck and is also considered to be the longest in the case of a democratically elected Chancellor. Among his many achievements in his endeavours towards serving his country, Germany, Kohl’s grandest achievement by any standards is his pivotal role in the German reunification drive. He oversaw the era of Cold War and along with the then French President François Mitterrand, Kohl became the chief architect of the Maastricht Treaty. The Maastricht Treaty was signed for the purpose of the creation of the European Union. Many of the world leaders have described Helmut Kohl to be the greatest European leader of the second half of the 20th century. Helmut Kohl was born in Ludwigshafen am Rhein on the 3rd of April, 1930. During those days the region came under Bavaria instead of today’s Rhineland-Palatinate. He was born as the third child to Hans Kohl, a civil servant and his wife Cäcilie. Kohl was born into a conservative family who found faith in Roman Catholicism and thus posed excruciating loyalty towards the Catholic Centre Party both before and after 1933. When Kohl reached the age of ten, like most of the youth of that time, they held obligations towards joining the Deutsches Jungvolk which was a section of the Hitler Youth. Helmut Kohl did receive his acceptance into Hitler Youth about five years later, at the age of fifteen on the 20th of April, 1945 which was also Adolf Hitler’s birthday. Kohl’s swearing in ceremony was conducted at Berchtesgaden by Artur Axmann. Artur Axmann was national leader of the Hitler Youth or Hitlerjugend for a period of five years, beginning from 1940 and ending in 1945. He is also regarded to be the last living Nazi who was honoured with the rank which is considered equivalent to – Reichsführer. From the period between 1934 and 1945 the title of Reichsführer-SS was the highest rank that anyone could receive. Among the noted individuals who have held the rank is the longest serving and most noteworthy: Heinrich Himmler. Thereon Helmut Kohl went forward with his military service in 1945 but could not engage in any form of combat to which he later in life referred to as something that was like a mercy of late birth. The growing up years of Kohl was mostly with his sister, Hildegard and his brother Walter. Almost their entire childhood and parts of youth were spent in Friesenheim. The family underwent some serious setbacks during the early life of Helmut Kohl. His elder brother, Walter, who adored him the most, passed away a martyr at the end of November 1944. Walter was a soldier and died because of a low flying attack in Haltern. The formative years of Kohl began with his schooling at Ruprecht Elementary School and at a local secondary school where todays Max Planck Gymnasium is located. Later-on after graduating in 1950 he commenced his study of law and history in Frankfurt am Main. It was quite a bit of task for him because he had to commute between Ludwigshafen and Frankfurt almost daily for the first two semesters. After a year at Frankfurt am Main Kohl then moved on to the University of Heidelberg. At Heidelberg he majored in History and Political Science, this made him the first in his family to attend any university. Kohl graduated from the University of Heidelberg in the year 1956 and then went on to become the fellow of the prestigious Alfred Weber Institute of the University of Heidelberg. Dolf Sternberger became his supervisor. It can be said that his political career received a direction when he became a member of AIESEC, a student society. The title of his doctoral thesis was: The Political Developments in the Palatinate and the Reconstruction of Political Parties after 1945 and this earned him the degree. His first job position was of an assistant to the director of foundry in Ludwigshafen and his second position was as a manager for the Industrial Union for Chemistry in Ludwigshafen. When he was able to attain stability professionally, Kohl decided to get married in 1960 to Hannelore Renner. He had previously asked Hannelore Renner for marriage in 1953 already but waited for his financial situation to improve. They were first acquainted in 1948 while being students at a dancing class. Helmut Kohl’s association with the political arena began much early in his life. In-fact it was first in 1946 when he joined the Christian Democratic Union of Germany (CDU). It is a party which affiliates to the centre right in German politics. The current leader of this party Angela Merkel is also the German Chancellor at the moment. CDU is also a formal member of the European People’s Party (EPP) and thus has a seat in the EPP group in the European Parliament. Furthermore, Kohl became a full-fledged member of the CDU in 1948 once he had attained the age of eighteen. A year prior to his membership, in 1947, Kohl had also become a cofounder of the Junge Union-branch in Ludwigshafen. It was the youth branch of the CDU. Kohl went on to become a board member of the Palatinate branch of the CDU in 1953 and a year later in 1954 he would hold the position of the vice-chair of the Junge Union in Rhineland-Palatinate. He continued to remain a working member of the Junge Union in Rhineland-Palatinate till 1961. For the first time in 1955 Kohl ran for a seat on the board of the Rhineland-Palatinate CDU. He came quite close to winning but eventually lost by a minor margin to Franz-Josef Wuermeling. Wuermeling was then the state’s Minister of Family Affairs. However, Kohl did manage to get a seat within the board because he was formalised as a delegate member of his local party. During his initial days with the party he aimed towards opening up the system for the youth because earlier, the church maintained a closed relationship with the outside world. 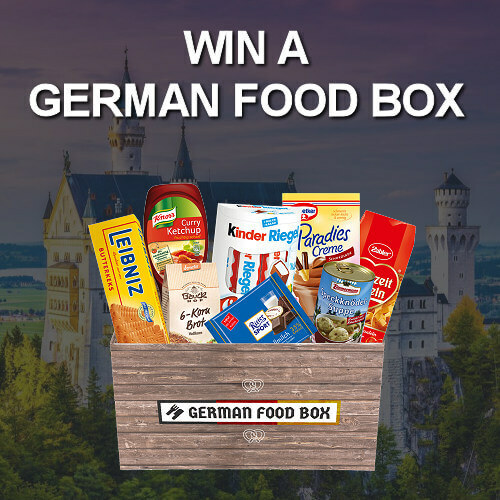 He was elected as the chairman of the district branch of CDU at Ludwigshafen in 1959 along with being nominated as a strong contender of the upcoming state elections. He became the youngest to be elected as the member of the state diet that is of the Landtag of Rhineland-Palatinate. His career took a flight from this point onwards. He was elected into the municipal council of Ludwigshafen a year later in 1960. In the municipal council he performed the role of a leader of the CDU party until 1969. He was also granted the position of the deputy chairman of the party in the fall of 1961 when the then chairman of the CDU parliamentary group in the Landtag, Wilhelm Boden died. Kohl became the formal chairman of the party in 1963 after he won the elections. He held the position of the chair till 1969 when he moved on to become the Minister-President. About three years prior to this point in 1966 Helmut Kohl was also elected as the chairman of the party in Rhineland-Palatinate. Peter Altmeier who was carrying the position of the state party chairmanship agreed to share the duties with Kohl and the Incumbent minister-president. A year later he handed over the post to Kohl. Helmut Kohl was elected the Minister-President of Rhineland-Palatinate on March 19th, 1969 and for this position he successes Peter Altmeier. With his attainment of the chair, he also became the youngest individual in the history of German Bundesland to be elected as the head of the government. When he became the Minister-President of Rhineland-Palatinate, CDU party also awarded him with the position of the vice-chair of the federal CDU party. Reforms were on the main agenda of Kohl. His focuses lay completely on schools and education. In the same light his government went on to abolish corporal punishments in schools along with the same in parochial schools. These agendas were rather controversial within the conservative wing of the party. He also is credited with the founding of the University of Trier-Kaiserslautern along with the enactment of the many territorial reforms. Under his chairmanship two new ministries – economy and transportation, and one soley dedicated for social matters were established. In 1964 Kohl went on and moved into the federal board or the Vorstand. Within a period of two years, just before the elections where he would become the chairman of the party in Rhineland-Palatinate, Kohl lost a chance and could not be voted into the executive committee or the Präsidium of the party. Prior to the 1969 elections it was the first moment the CDU lost its involvement with the federal government since World War II, then Kohl won the elections and elected into the committee. However, Kurt Georg Kiesinger, the former chancellor retained his chair at the CDU until 1971. Moreover, with Kohl there in the committee he was able to capitalise his position and further his cause for reforms and first with the reform of the party itself. He was of the opinion that opting for a liberal stance would facilitate the formation and implementation of the social policies and this was to also include employee participation at every level. On the other hand, despite the enthusiasm posed by him at the time of voting during a certain party convention in 1971 at Düsseldorf, the conservative wing prevailed. Successively Kohl began to lose much of the support from the liberal wing of the party as well, he also lost the opportunity to become the chairman of the party, In any case he tried again in 1973 and won the election. He then went on to hold this very position till 1998. At the time of the 1976 federal elections, Kohl’s name came up as the CDU and CSU’s candidate for the potion of the Chancellor. Thus, Kohl chose to retire from the post of the minister-president of Rhineland-Palatinate so that he could become the leader of the CDU and CSU coalition in the Bundestag. However this did not turn out as per the plans. Then during the 1980 federal elections this coalition chose a certain Franz Josef Strauß as their candidate for the post of the chancellor. But he seemed incapable of defeating the SPD and FDP alliance and thus Strauß decided to remain the Minister-President of Bavaria and not contest the election anymore. Kohl was still going strong with his desire to become the Chancellor of Germany. Helmut Kohl’s time came on October 1st, 1982 when a new cabinet coalition comprising of CDU, CSU and FDP came through. However, this too did not last long as first a no confidence motion was reached and later on surrounded by a great amount of controversies, President Karl Carstens went on to dissolve the Bundestag and called forth for new elections. A year later, during the federal elections of March 1983 Helmut Kohl was heralded victorious. The CDU and CSU coalition was able to amass a total of 48.8% of the votes. The opposing members made attempts through the Federal Constitutional Court to decree the proceedings unconstitutional but they could not succeed. With the victory in place it was time to work. The second Kohl cabinet was able to push through some of the most controversial plans. These included the stationing of NATOs midrange missiles. Furthermore, while speaking before the Israeli Knesset on the 24th of October, 1984, Kohl in his speech used the sentence: the mercy of a late birth. This sentence was first used by a Günter Gaus, a famous liberal journalist. Under his Chancellorship the French-German reconciliation movement began. It was when he and the French president François Mitterrand met at Verdun which was the site for the Battle of Verdun. This battle took place during the First World War and the both of them together commemorated the deaths of people from both sides. One of the most iconic feature of this meeting was their minute long handshake. Kohl also met with the President of the United States, Ronald Raegan in 1985. Kohl was in-fact invited to the White House a year before to further work towards reconciliation. Then Raegan was invited to Germany for the G6 conference. They together visited the Bergen-Belsen concentration camp on the 5th of May. Kohl then went on to gain a majority but a slightly reduced one during the federal elections of 1987. During his second term he worked towards bettering ties between East and West Germany. He also met with East German leader Erich Honecker in 1987. This was also the first time when a leader had visited from East Germany. In 1989 when the Communist regime of East Germany collapsed Kohl turned into a master craftsman and his handling of the East German issue was as a matter of fact proved as a turning point in his chancellorship. He thus went on to seek a guarantee from Mikhail Gorbachev, the leader of the former USSR so that his government would not hinder the unification of Germany. Then in 1990, on the iconic date of 18th May he signed the economic and social union treaty with East Germany. Due to his heroic spirit and endeavours Kohl won the all-German democratic elections in 1990 with a landslide margin. He was then again re-elected in 1994. Another major achievement of his is considered to be in the domain of foreign policy. He was able to get Frankfurt am Main as the seat for the European Central Bank. At the time of the late 1990’s, Kohl now in his winters was heavily defeated during the 1998 federal election at the hands of Minister-President of Lower Saxony, Gerhard Schröder. His defeat is believed to have been a result of rising unemployment levels back then. 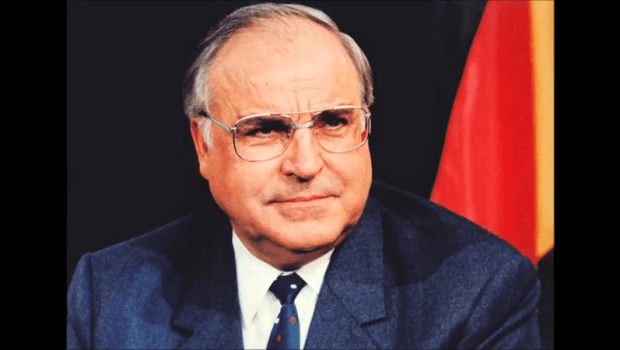 Helmut Kohl had been a recipient of numerous awards and accolades throughout his august life. For instance, along with French President François Mitterrand, he received the Charlemagne Prize. This was granted to them for this endearing efforts and contributions towards Franco-German friendship and European Union. He is also the recipient of Prince of Asturias Award along with being named as the Honorary Citizen of Europe by the European heads of state or government. He was awarded this for his work with regards to the integration and cooperation of Europe.